Home » Congratulations to the 2015 Aspiring Nurse Scholarship recipient! Congratulations to the 2015 Aspiring Nurse Scholarship recipient! 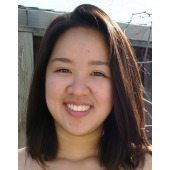 Nursing Schools Almanac is proud to announce Christina Truong as the inaugural recipient of the Aspiring Nurse Scholarship. Christina recently graduated from Evergreen Valley High School in San Jose, CA. She is currently pursuing a bachelor of science in nursing (BSN) degree at the University of San Francisco, where she is a member of the Class of 2019. The Nursing Schools Almanac scholarship committee was very impressed with Christina's track record of academic excellence. They also enjoyed her well-written essay that illustrated a clear and specific passion for the nursing profession. You can find her winning essay reproduced below. We'd like to congratulate Christina, and we wish her well in her studies and future career! I was a six-year-old and I wanted that crayon. Instead of asking my classmate for it, I opted to whisper my request in her ear. Thus, that was my main mode of communication in school: whispering. To break me out of my shell, my teacher Mrs. Mockler set aside a little project by having us exchange stories throughout the school year in this beautiful journal with pages that smelled like fresh lilacs. We took turns writing about topics that most kindergartners enjoy, like what our favorite cartoon was and whether we preferred cats or dogs. Somehow, through this daily routine, Mrs. Mockler brought me out of my bubble bit by bit, until one day, much to my classmate's surprise, I worked up the courage to ask her aloud, "Can you please pass the crayon?" Being so young at the time, I didn't realize the impact of Mrs. Mockler's gestures. Upon looking back, I now understand that she was establishing a personal connection between us that would affect how I grow and overcome my shyness. Her actions have struck a chord with me on a personal level, made me realize the importance of human interaction, and made me acknowledge that talking to people doesn't have to be as painful and awkward as I thought it to be. Her dedication to help me has inspired me to forge one-on-one interactions as well, and with my interests in medicine and physiology, has motivated me to pursue a nursing career. Since then, I have taken strides to use my voice, whether it be raising my hand in English class to offer an opinion, or introducing myself to new members of my Girl Scout troop. The biggest step I have taken is becoming a weekly volunteer at Kaiser Permanente. Through my experiences there, I have practiced interacting with countless patients by adjusting their pillows to make them more comfortable, soothing their anxiety about lab tests and needles, and trying to understand the exasperation that must come along with being chained to a bed all day. Summing up the courage to talk was not easy when I was six, and it still isn't easy now; however, volunteering at Kaiser has made me more comfortable in social situations, and has made me realize how much I actually enjoy talking to people. Despite trying to push myself out of my comfort zone, I have learned to understand that shyness doesn't have to be a hindrance. My shyness has given me qualities of perceptiveness and patience that are crucial to becoming a nurse. I not only want to keep embracing who I am, but also expand my abilities by emulating the same determination that Mrs. Mockler displayed all those years ago. To this day, I still keep the journal she gave me as a reminder of her drawing a connection between us, which has sparked my desire to do the same with others.